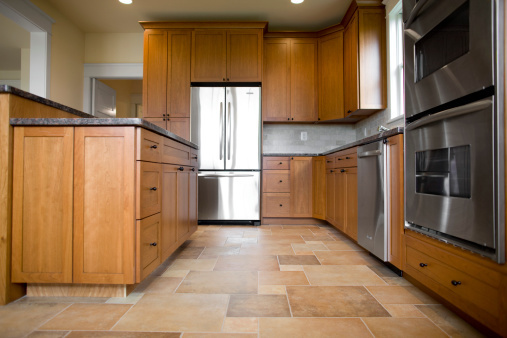 Few home improvement projects can add value to your home like a brand-new floor. Increasing both your home’s financial worth and degree of livability, a beautiful floor can be the centerpiece of any room. By laying out a well-prepared plan you won’t have to worry about getting lost in the multiple choices of floors, but can instead find the floor you’ve always wanted. Stone tiles are incredibly durable and can increase your home’s value. The article “Oh, No! Look What the Kid Dragged In!” only discusses a dozen of the countless things that will conspire to stain, stick, chip and all around torture your floor throughout the course of your home’s life. Sand, soil, mud, water, food – even pollen – all have cumulative degrading effects on virtually every flooring material. From pets to kids to normal traffic, your floor is always the lowest point of gravity in your entire home. Eventually, everything lands on the floor. Wood: Wood is attractive, durable, warm and lasts a long time if it is sealed and correctly maintained. It does, however, tend to darken with age. Ceramic tile: Ceramic comes in an incredible selection of colors, shapes and sizes to match almost any room. Its glossy finishes get slippery when wet, and the grout between the tiles can be difficult to clean. Stone tile: The epitome of class and luxury, stone is incredibly durable and will outlast everything else in most rooms. But wear slippers – it’s cold on the feet. Also, luxury doesn’t come cheap – stone is pricey. Laminate: Less expensive than the other options and incredibly easy to maintain, laminate can mimic the look of other materials such as wood. But be warned: Laminate can’t be refinished or replaced in pieces like tile. Wood floors are beautiful and natural – they complement almost any style room. Always seal and treat your floor according to the standards of the manufacturer – no matter what anyone else says! It is the manufacturer – not the home contractor – who backs your floor’s warranty. In the end, you’ll have to weigh the cost and benefit of each material against the pros and cons of your climate and the amount of traffic it will be forced to endure. 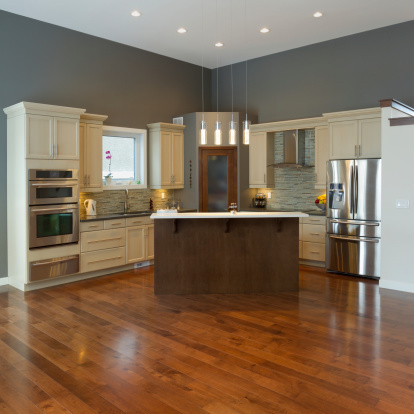 Will you be updating the flooring in your home? eieihome makes it easier for you to start planning with our Floor Laying & Refinishing Contractor‘s directory. Browse our list, read the reviews and make your choice for your next home improvement project.